We all breathed a deep sigh of relief with this week's ten-pound share. Since four of those pounds are cucumbers, I've been testing recipes. Here is a nice relish that I've been adding to tacos. 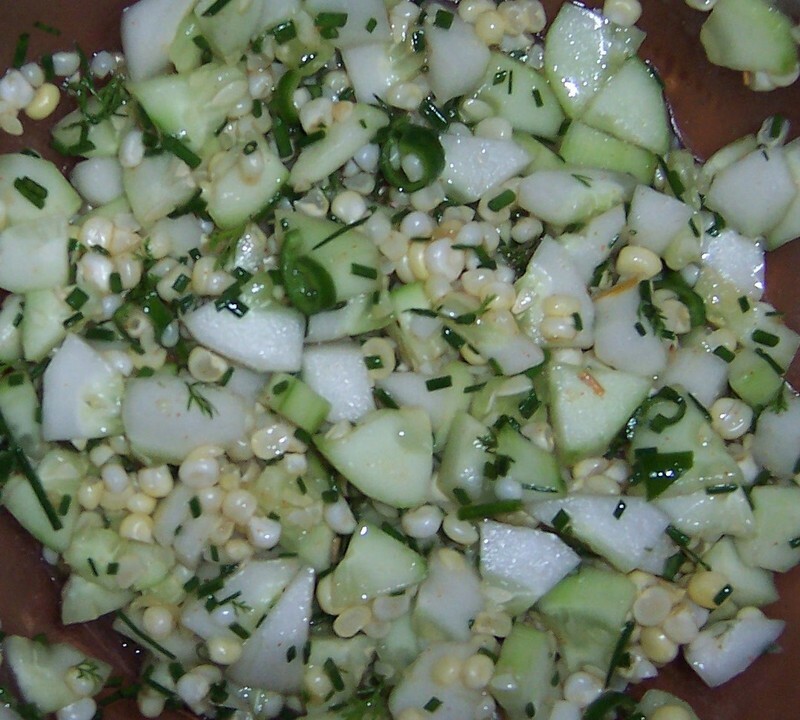 Please comment on this post with your own favorite cucumber recipes (look for the small "Comments" link at the bottom of this post on the weblog). 1 cup fresh corn kernels, steamed [I didn't think steaming was necessary. Two of the large, "Luscious" ears were enough for one cup]. Mix all ingredients. Refrigerate for several hours to allow flavors to blend. Serves 8 to 10 as a condiment. Don't forget to post a cucumber recipe you've enjoyed this week!